We spent most of this week visiting family in California but we did some picking on the way back home and found a few small pieces. During the weekend we also managed to find a few pieces right here in Portland. I have seen some great labels on MCM furniture but I think that this one takes the cake. 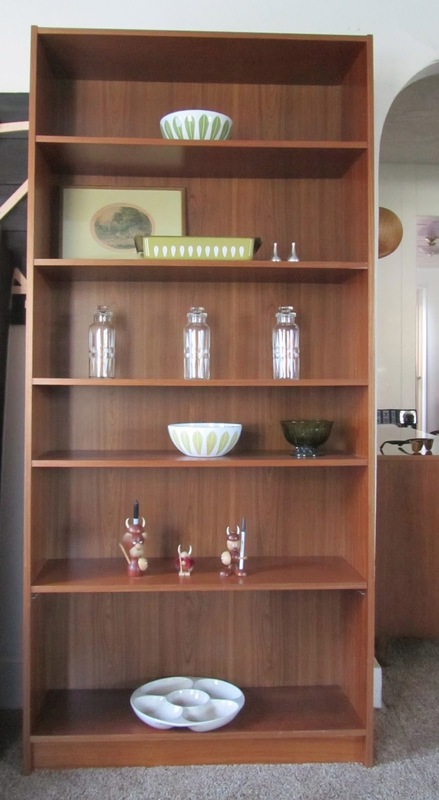 This Danish teak bookcase was a great find and was very useful in displaying our other small finds. We have been adding more pieces to our personal collection lately. The Cathrineholm dishes and Dansk Quistquaard candle holders will stay with us for a while. Lately we have begun collecting Danish Vikings. This week we added the cute little one in the middle. If anyone has any vikings for sale we might be interested inmaking a deal on them. 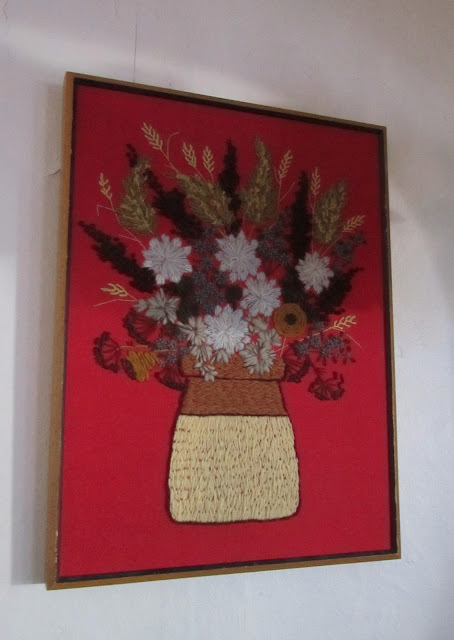 We have bought lots of crewelwork but this is the first one we have found with a red background. I love those Danish vikings! I've never seen them before, and they are totally adorable. The new little guy is my favorite. 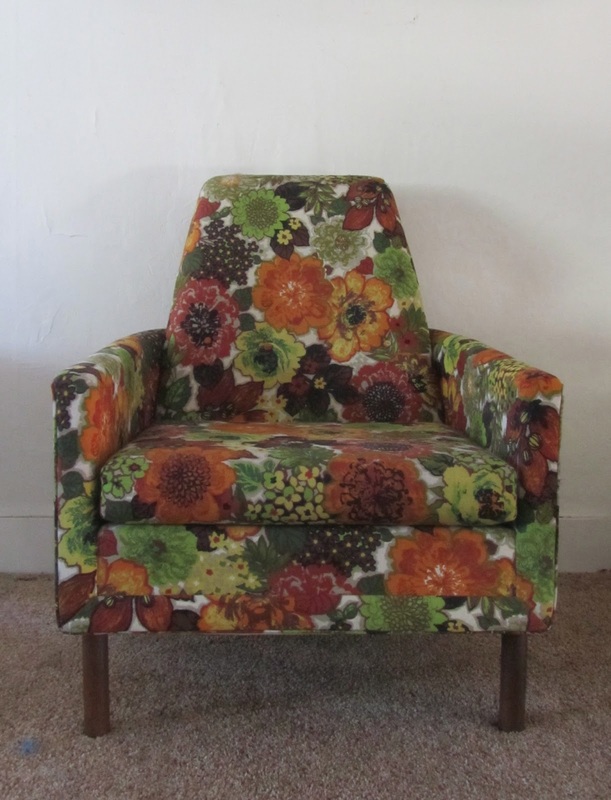 The floral fabric is crazy, but pretty awesome. I know I wouldn't be able to convince Chris on that one, but I'm sure there are many women out there (and maybe some men...?) who would love it as is! I actually love that chair as is! But I think it would look great in a modern fabric as well. How strange, but the floral fabric isn't killing me. Normally I'm not a fan. But it will look super cool in a modern color. You guys are so good at upholstery work, I can't wait to see how it comes out. 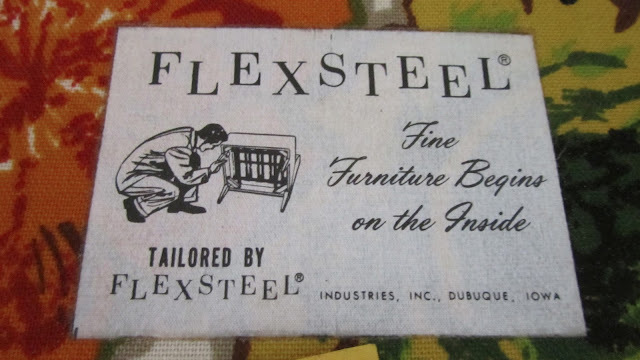 I like the chair's lines, but you are right the upholstery doesn't work well. I am sure you will make it look great! I have a viking listed here: https://www.etsy.com/listing/125644559/vintage-mid-century-viking-figurine-7?ref=shop_home_active&ga_search_query=viking and I have others in my inventory that I have yet to list. Let me know if you want pictures.